Over the years, USPTA Master Professional Rick Macci has been training top athletes on how to hit the most effective forehand. Introduced by Rick for the first time in the video "On Court with USPTA: Improved Forehand Technique with Rick Macci", he explains that it's all about reducing the range of motion for a faster and more explosive forehand. In this video Rick Macci will cover the seven key points that you need to know and take a player from his old forehand to hitting the shot with this new and improved technique. Turning your shoulders is the most important thing in preparation. You want your left elbow to be elevated and you also want you right elbow to be elevated. This can increase the power that you put on the ball. After your elbows are up, you need to extend your elbow. Your palm should be faces towards the floor but your wrist stays up. Because you have placed your racquet in the position, it forces it to flip. This gives you more racquet head speed which therefore means you can hit the ball with more power and control. This is when your racquet reaches contact. This is also where the racquet head speed is. This is one of the most important parts to the forehand swing. By turning your wrist slightly during the follow through, it puts more spin on the ball. Below is an episode of "On Court with USPTA" that you just have to see! 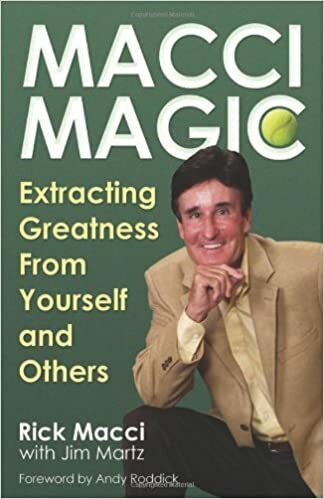 Rick Macci is a United States Professional Tennis Association (USPTA) Master Professional, and seven-time USPTA national coach of the year who has trained five number one ranked players — Andy Roddick, Jennifer Capriati, Maria Sharapova, Serena Williams and Venus Williams.